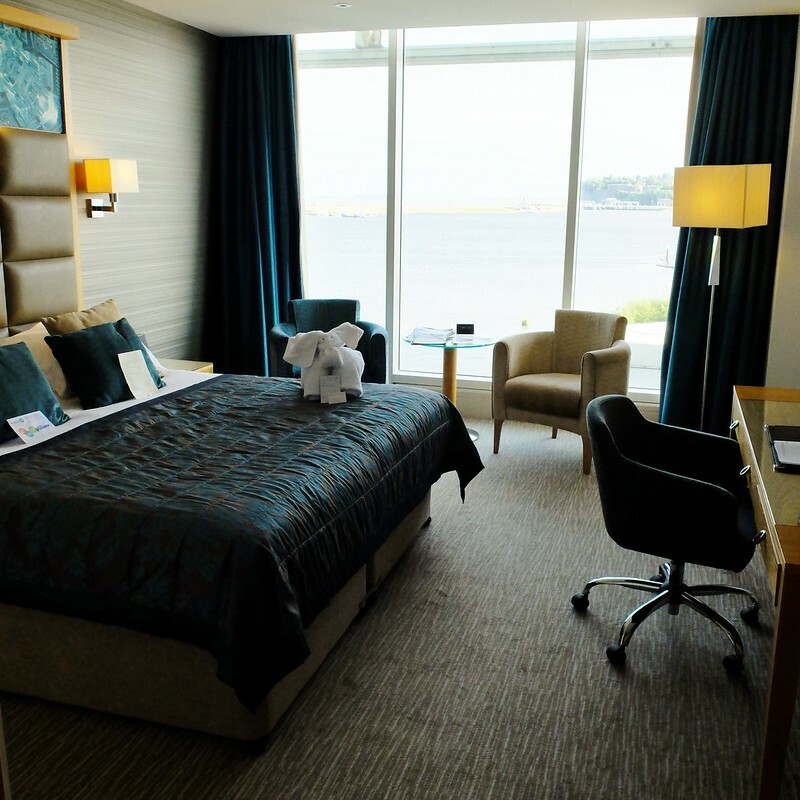 The only 5 star hotel in Cardiff, St Davids Hotel & Spa is in an unrivalled location overlooking Cardiff Bay. I recently stayed there through an event with work, in one of their standard rooms. My only previous experience of the hotel was years ago when my sisters were staying there. I remember the rooms higher up had super balconies, but I hadn't liked the decor, and unfortunately received a substandard meal in the restaurant. I was keen to erase those memories and see if my visit this time would be up to the standard I hoped. Read on to find out if I was impressed! I was on the first floor, and the room didn't have a balcony but it did have a really stunning view over the bay. There's everything you need (hairdryer, ironing board, safe etc.) and the obligatory towel animals to greet you. I had an elephant, but you can never be 100% sure with towel animals. 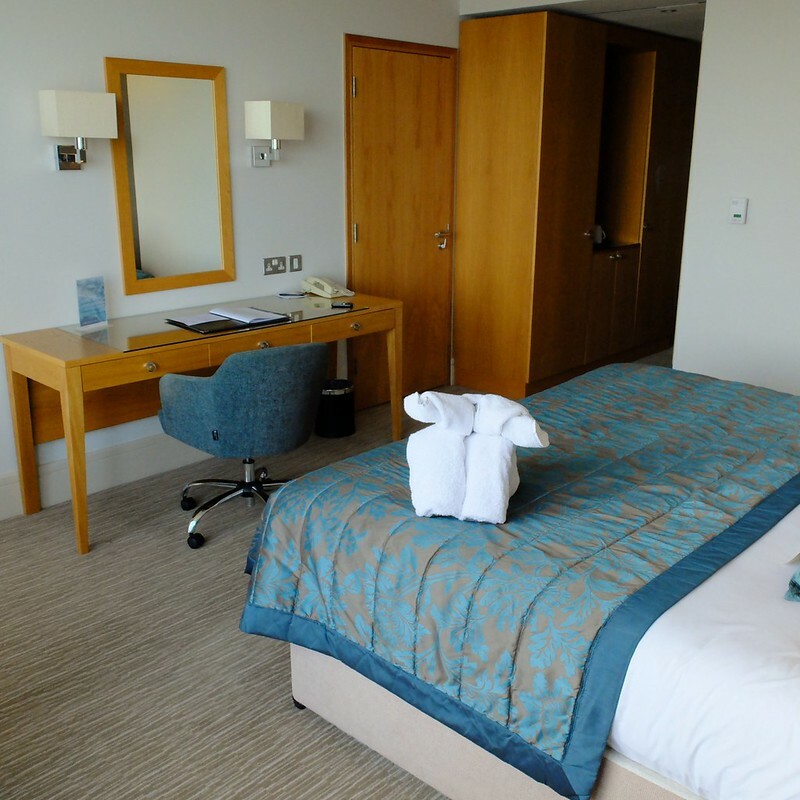 It's a nice enough room, but still has a bit of that corporate, less-personal feel that you'd expect from a hotel chain rather than an independently run one. 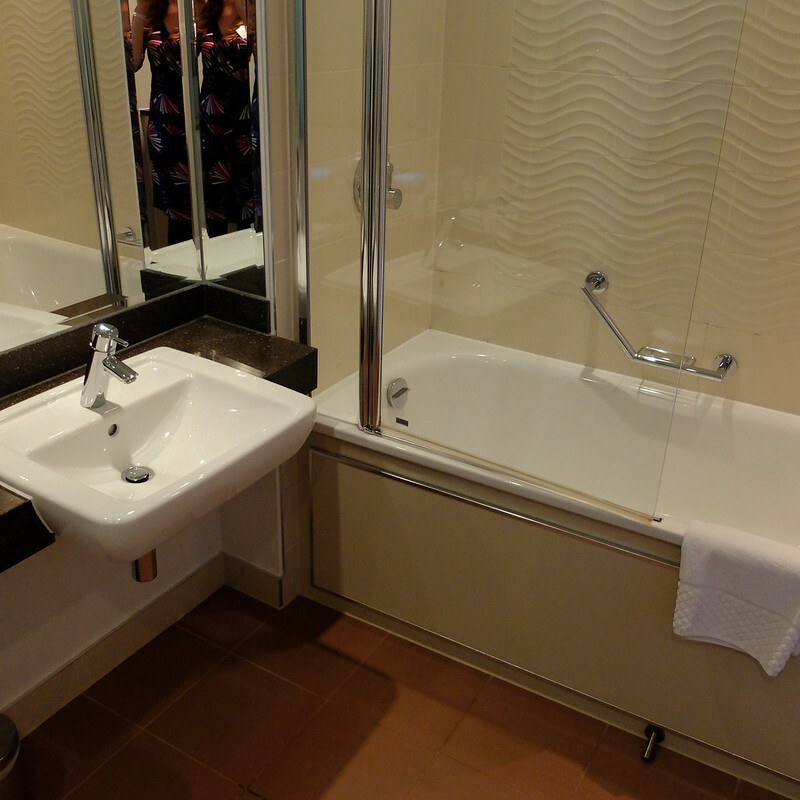 I thought the bathroom wasn't quite up to standard, with some outdated metal edging on the bath panel that was a bit jarring aesthetically. There weren't enough hooks in the bathroom, none on the back of the door in particular. There was also that perennial issue of inadequate lighting for makeup, which I complain about everywhere I stay (apart from Clevedon Hall, they had perfect lighting sussed!). Breakfast is served in Tides restaurant, which makes the most of the location with its large windows, and a terrace for those rare warm days. I had a full English breakfast, which was really good, and there was a vast selection of fruit, cheeses, meats etc. or you could order something individually cooked from the menu. 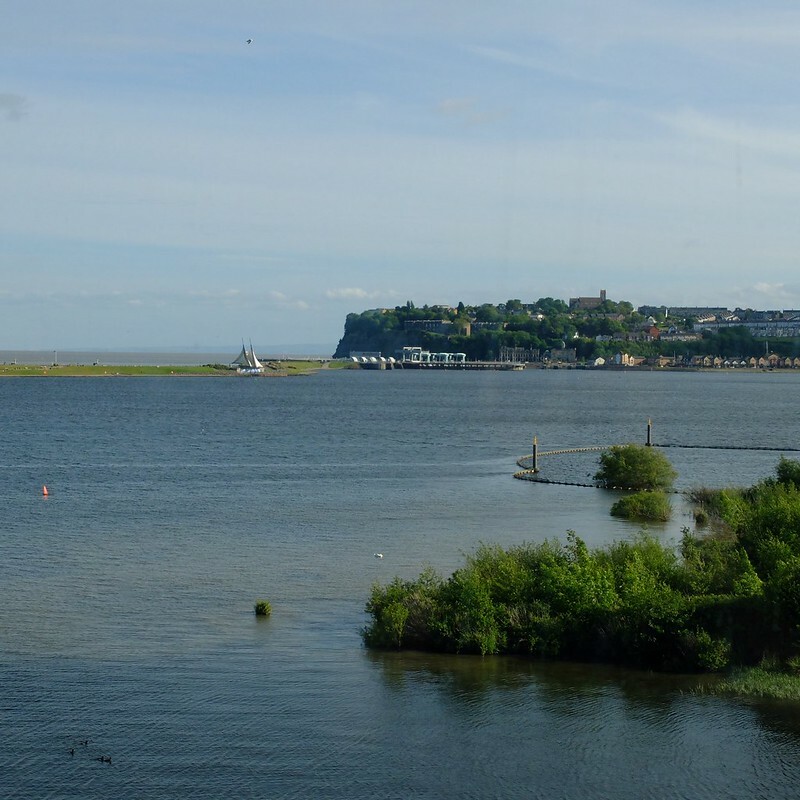 It's the views and the location in the heart of the bay that really make the hotel something special. One of my colleagues said they had a room overlooking the marshes, and was delighted to hear the call of a rare water bird from the balcony. 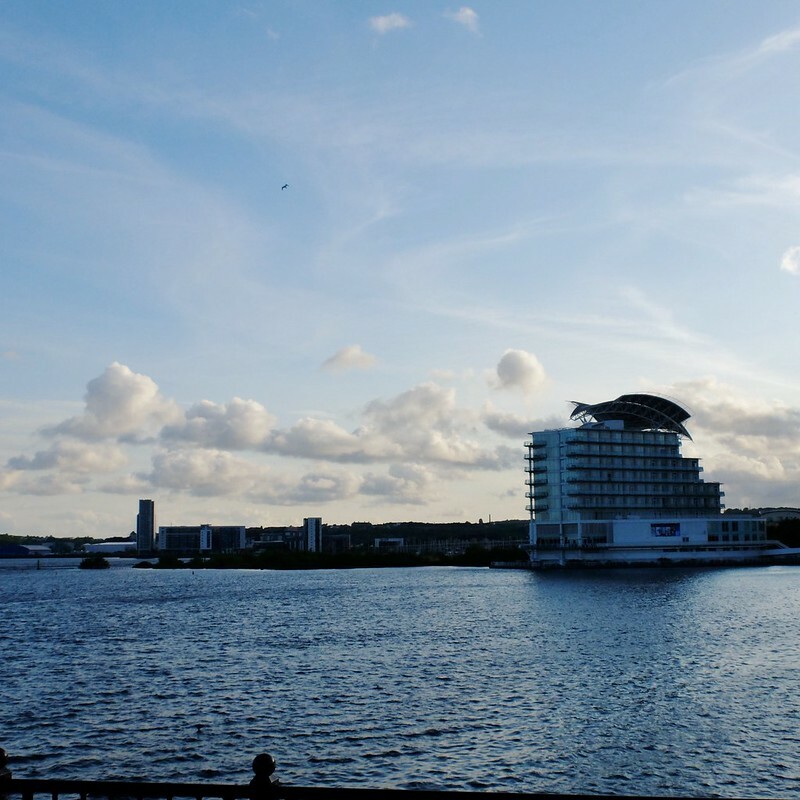 In the bay you're ideally placed for visiting the Dr Who Experience, Millennium Centre, and all of the bay's restaurants and bars. My work schedule meant that I didn't have time to make use of the fabulous hotel swimming pool and spa, but I've heard very good things about it. 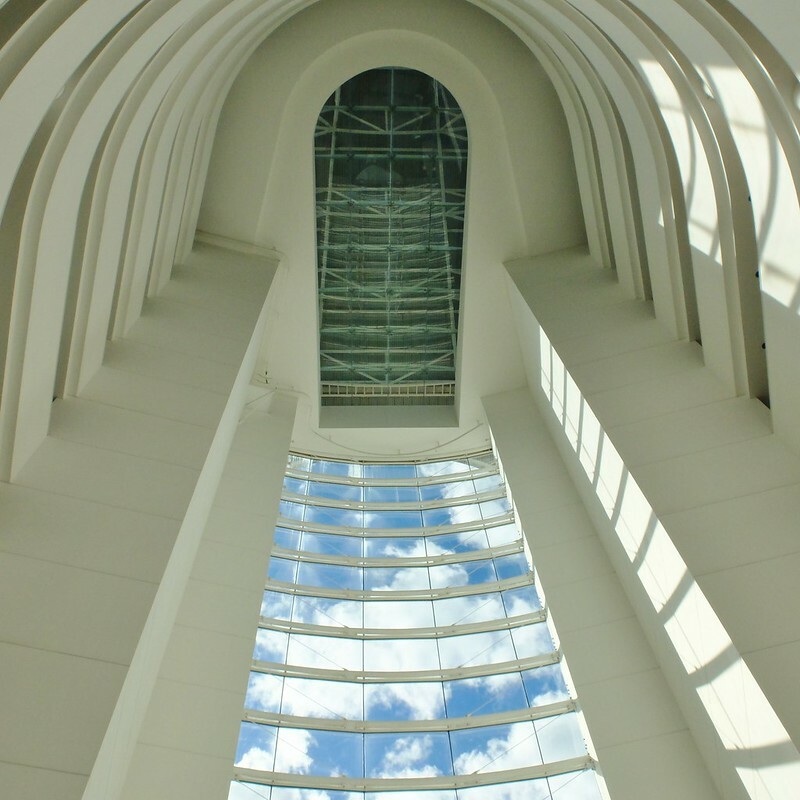 Overall then, I love the location, the atrium, the staff were lovely, but I think for me the rooms don't quite hit the spot. They're a bit bland for my tastes. 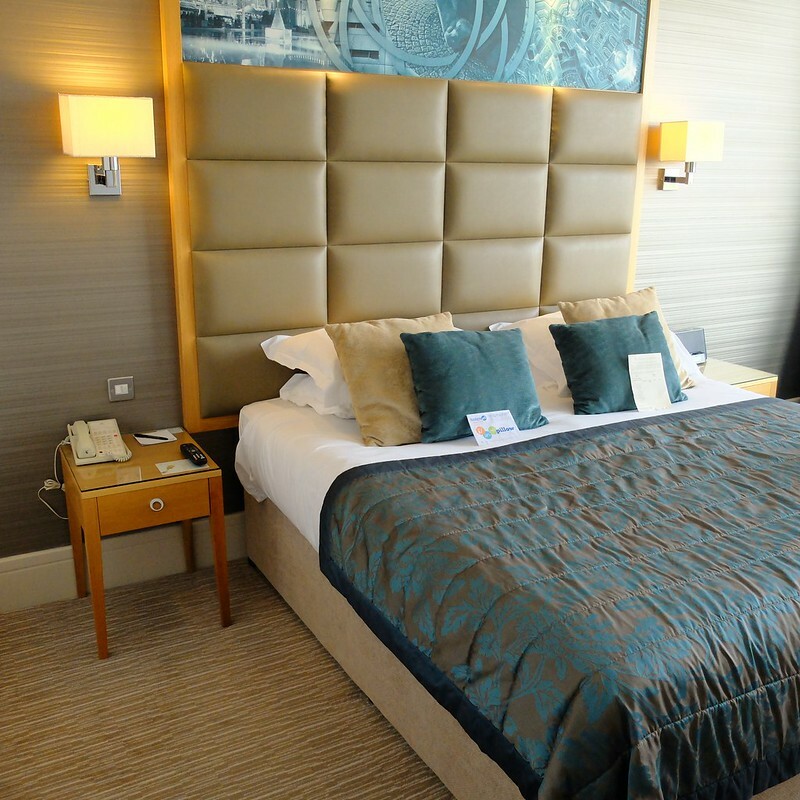 Prices vary dramatically depending on what level of room you go for and how far in advance you book - you can probably get a room with breakfast for around £100 a night, but that can easily triple or even quadruple if you're booking for popular dates. This hotel looks gorgeous! 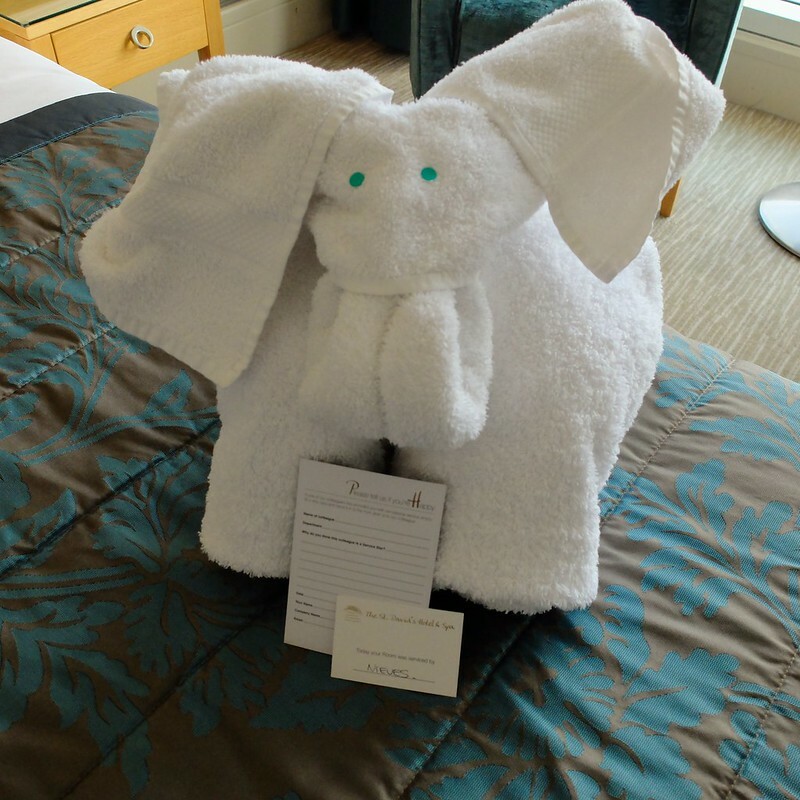 I have never actually stayed anywhere that I have been greeted with a towel animal but it is a really cute idea, I think. Excellent towel animal! I've only ever had swans. I can see what you mean about the blandness - it doesn't really look five-star, does it? I've stayed in a couple of four stars with similar 'international' decor. On the whole, I go for old three-star places, they usually have more personality. It's always better to feel you're somewhere, rather than anywhere. That said, that hotel does have amazing views of the Bay. My parents go on cruises and it sounds like on board ship there are more exotic towel animals, they couldn't tell what some were meant to be, perhaps some mythological creatures! That view is fantastic! I think that it does the soul so very well to get to gaze out at the water at least every now and then. I personally feel a deep urge to do at an almost primal level. Thank you for the lovely, totally honest review. There's almost nothing that needs them more than hotels (and the like), if you ask me.